Vibrio vulnificusis a naturally occurring bacteria. Vibrio vulnificus bacteria is commonly found in warm, brackish and salt water, and in shellfish during the summer months. Vibrio vulnificus is not a flesh-eating bacteria.There is no such medical term or marine organism. One of Sarasota County’s greatest community assets are our coastal beaches and public bathing areas. This website is a resource to help you get up-to-date information on beach water quality. The Florida Healthy Beaches program, which is administered by the Florida Department of Health and its county health departments, protects beach goers from conditions unsuitable for swimming by sampling beach water and providing accurate and up-to-date explanations of the results. 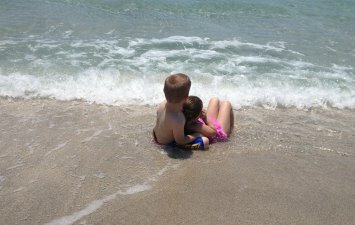 The most recent beach water test results for Sarasota County are available here. The Florida Department of Health in Sarasota County (DOH-Sarasota, formerly known as Sarasota County Health Department) endeavors to protect and promote the health and well-being of all residents in Sarasota County through integrated state, county and community efforts. Promoting a safe and healthy coastal environment through management, monitoring, outreach and increased public awareness of environmental health issues impacting our coastal communities.